Running a business is hard enough as is, but when you take into consideration the volume of online competition you need to rank above, it adds a whole new level of professional struggle. When it comes to getting found online, there are multiple avenues available to businesses of all sizes, all with their own unique advantages (and sometimes even disadvantages) depending on the type of vertical you work in. While PPC campaigns may be great ways to get exposure during peak times for seasonal businesses, they may not be the best strategy for, say, a restaurant. And while that restaurant may benefit from concentrating their efforts on getting good Google reviews, the same tactics might not work for a grocery store. Internet marketing as a whole has near endless possibilities for developing online strategies to promote your business, but without a doubt one of the most important elements is SEO. Ranking high organically for your keywords (IE being one of the first few results to show up when you Google something) is one of the best long-term strategies you can have for online success. It allows a wider audience to find you, it doesn’t take an ongoing budget to manage the way paid search campaigns do, and it will greatly increase your on-page traffic. Unfortunately while SEO doesn’t take as much money as other marketing efforts, it does take time and ongoing energy. Not only is not a ‘set it and forget it’ approach, but those doing their own SEO have to constantly reeducate themselves on the best practices of what to do, how to do it, what has changed, and what needs to be avoided. Google, along with the other big-wig search engines, are constantly updating and reevaluating their algorithms and the ranking factors that feed into them to provide a better user experience for their searchers, and to provide the most accurate search results possible. While this is good news for the people using these search sites, it in turn makes more work for the people trying to optimize their website. 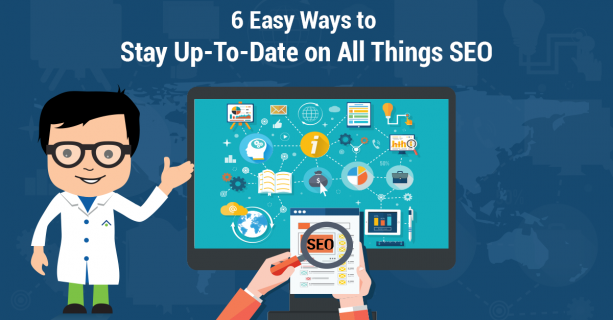 Professional SEOs make it a part of their daily process to stay up-to-date on all the current (and even projected upcoming) changes in the industry so they can keep their ranked sites in the top spots, and to give their newer clients a better shot at surpassing the competition. However, what if you’re doing SEO yourself? You can research how to do SEO, become a self-taught expert, set up your website to perfectly reflect what Google is looking for, and then… have an outdated SEO strategy in little over a year? The key to doing SEO successfully for your own company is to remain educated on the latest SEO trends and changes. Instead of always feeding into what you first learned, continue to learn as much as you can about the industry so you can maintain the ranks you worked hard to get in the first place. Sometimes when you’re trying to get fit, you hit plateaus at the gym. You have to find different ways to stimulate different muscles to maintain your fitness regimen. It’s the same with SEO – the strategies you once used won’t always be the ones that keep you ranking highly. Okay okay, so maybe I’m a little biased with this one. But in my defense, it’s because it’s a really good resource! 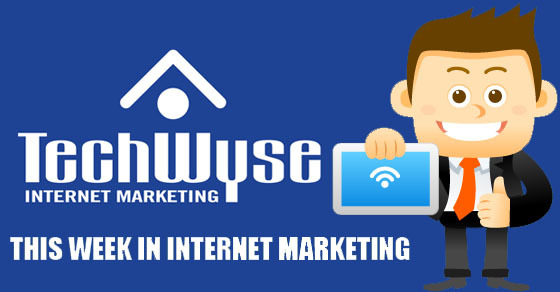 TechWyse not only has staff members constantly contributing articles, but we also enlist the talents of some of the best SEOs on the web to share their tips and tricks on how to dominate SEO on a weekly basis. If there’s a change in the industry, it’ll be on RTTT. With Rand Fishkin and Sarah Bird leading the way at MOZ, they’ve situated themselves as a leading new source and educational hub for all things Internet. From recent changes to upcoming predictions, MOZ is a great place to learn the basics and stay updated on any algorithm modifications. SEJ has an entire section of their website dedicated to articles about ongoing SEO changes. If you’re looking for an easy overview of recent happenings, this website will give you a great snapshot of what’s happening now. Much like SEJ, Marketing Land has an entire page dedicated solely to search marketing efforts. From helpful tools to new keyword research methods, Marketing Land is a trustworthy resource for advanced information. While you will have to wade through paid search and web design articles to find the SEO content you’re looking for, kissmetrics is still a great place to find frequently updated information on search marketing ideas. 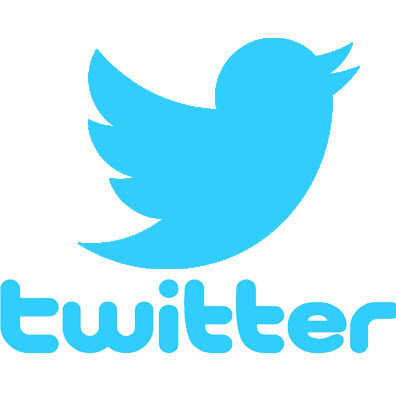 I realize that a majority of us use Twitter for breaking celebrity gossip and to share pictures of our Sunday brunch, but Twitter is actually a great place to learn about SEO. Follow SEOs and SEO blogs to get easy access to important changes right in your feed. Additionally if you’ve heard of a recent change that you don’t quite understand, join a Twitter chat on the subject and get involved! Ask questions to those in the know about how you can implement strategies to feed into these changes during the chats; this can save you hours of research trying to figure it out on your own. Staying educated on SEO changes is just as important as setting up your SEO properly in the first place. Follow blogs, ask questions, and revamp your strategies when needed so you can continue to rank above your competition! This is a lot of data to process on a daily basis. Is the recommendation to check these resources on occasion, or daily? Also, are these the only resources, or just resources on JUST SEO topics?